Een echte transformatie voor olie en gas beter dan een digitale omslagCircular Energy biedt een slimme oplossing om gas uit kleine gasvelden te winnen, CO2 op te slaan en de fluctuaties van offshore windparken op te vangen. 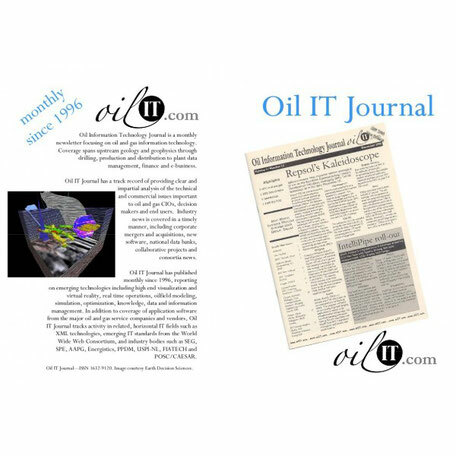 Dat stelt Neil McNaughton, redacteur en uitgever van het Oil IT Journal in de meest recente edtiorial. Hij zet zich daarmee af tegen het idee dat met digitalisering deze industrietak een nieuw verdienmodel zou kunnen realiseren. Lees hieronder de volledige Engelstalige bijdrage. Circular Energy BV’s has a cunning scheme to a) produce stranded gas, b) sequester CO2 and c) balance intermittent electricity loads from offshore windfarms. A popular notion that is often used to justify the ‘disruption’ of digitalization is that digits will enable new business models. If you consider that using blockchain to settle transactions in oil and gas is a new business model well, good luck with that. But in general, as I have said before, it is hard to see quite how more digitization can truly disrupt an industry whose business is to produce, transport and refine oil and gas. Seeking a digital technology that is going to change the way oil and gas does business is putting the cart before the horse. Much better to sit back and think about what new business models (or even better, new businesses) there are out there and then, if needed, tailor a digital solution to the problem. The difficulty is that oil and gas has for a long time been seeking new business models, increasingly so as it is attacked from many sides as a polluting, CO2 generating twilight industry. These new businesses usually involve something like, buy a battery manufacturer, a windfarm or photovoltaic operation. The problem here is that, being an oil and gas company does not really put you in a much better position than say, venture capitalists or other investors and it likely puts you in a worse position than the incumbent utilities working these new spaces already. Oil and gas really needs some new business that dovetail, in a profitable way, with oil and gas production and that, if possible, is green. And it so happens that I have one such business teed-up and waiting to go. Speaking at the 2018 ‘Meet the Projects’ meeting of CATO* chez TNO in Utrecht, Circular Energy CEO Arnold de Groot presented an elegant solution to a three-way problem, of simultaneously producing stranded offshore gas, sequestering CO2 and load balancing the intermittent output from offshore wind farms. Oh, and, by the way, making money while doing it. The Dutch North Sea makes for an excellent testing ground for Circular Energy’s approach. The sector has a significant number of stranded gas fields, ones that are too small or awkwardly placed in regard to infrastructure to justify being put into production at current gas prices. There are also a large and growing number of offshore wind farms. And the Netherlands government’s climate legislation is strongly supportive, with CO2 reduction targets of 50% by 2030 and 95% by 2050 compared to a 1990 baseline.rand plan is to burn gas on an offshore production platform above a stranded gas field, to produce electricity on-the-spot, to capture flue gas CO2 from the generators and to pump it back into the reservoir. Circular Energy has modeled the propagation of CO2 in producing reservoirs and deemed it problem-free and has patented some aspects of the simultaneous injection of CO2 and production of natural gas from the same reservoir. The electricity produced is exported to nearby offshore windfarms (BorWin, Gemini, DolWin, etc. ), feeding into the existing electrical grid and providing scalable load-balancing to the windfarm. When the all the gas has been produced and the reservoir filled with CO2, the whole caboodle jacks down, moves over to another field and repeats the process. Circular Energy’s grand plan is to burn gas on an offshore production platform above a stranded gas field, to produce electricity on-the-spot, to capture flue gas CO2 from the generators and to pump it back into the reservoir. Circular Energy has modeled the propagation of CO2 in producing reservoirs and deemed it problem-free and has patented some aspects of the simultaneous injection of CO2 and production of natural gas from the same reservoir. The electricity produced is exported to nearby offshore windfarms (BorWin, Gemini, DolWin, etc. ), feeding into the existing electrical grid and providing scalable load-balancing to the windfarm. When the all the gas has been produced and the reservoir filled with CO2, the whole caboodle jacks down, moves over to another field and repeats the process. There is an ongoing debate in the press over the cost of carbon capture and storage (CCS) which some believe to be prohibitively high. de Groot will have none of this. Circular is economic at current EU carbon prices and the activity also receives revenue from selling its electricity. A further advantage over other CCS approaches is that the stand-alone platform needs no long CO2 flow line, unlike other ‘end-of-pipe’ solutions. Circular expects to benefit further from volatility in power prices, ‘we can supply our electrons to the grid at the best time’. Overall a 12% rate of return is expected, assuming a modest rise in electricity prices. We have been skeptical about the very high capex involved in purpose-built CCS installations. de Groot puts the cost of the US PetraNova plant at over $1 billion for 25 years at 1.4 megatonnes/year. Circular’s is far cheaper at €83 million for 25 years at 0.6 megatonnes/year CO2sequestered. A €5 million initial fundraising in September 2018 was undersubscribed, in part because a number of prospective investors advised that a larger float would get a better reception. Consequently, Circular is about to announce a scaled-up, €100 million fundraising to kick-off an initial pilot codenamed ‘Cranberry.’ Cranberry is to cost around €300 million and Circular already has a 40% joint venture partner in EBN, the Netherlands state oil company. Other JV partners have been identified, leaving Circular with a current stake of around 30%, along with operatorship of the facility. The company is open to other partners joining the consortium. Does digitization have anything to do with this? Of course it does and there is plenty of new stuff for oil and gas and process control engineers to get their heads around, as oil and gas gets electrified. We offer you a quick start guide to digital transformation of the electrical industry-at-large elsewhere in this issue and, in our first issue of 2019, we will be reporting more from CATO.